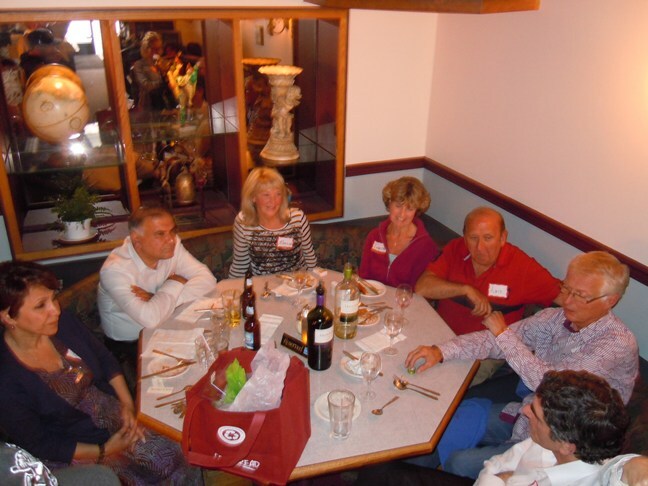 We held a Caulfeild Village Shopping Centre merchant "meet and greet" on Monday, June 27th at Pastameli Restaurant which was well attended. Lots of discussion about our upcoming Sidewalk Sale in July. Pictured here from left to right are Goli from Healthworks, (her husband), Marilyn from Marilyn's Boutique, (Bill's wife Loretta), Luis Sopena of Caulfeild Gallery and Bill Van Unen from J. Gregory Menswear.